Daimler V8250 – a true favourite – HubNut – celebrating the average! Having recently told you about a car I dislike very much indeed, I should probably aim for rather more positivity. So, here’s a car I’d very much like to own. And it’s not a Citroen! I love V8s. I always have done. There’s just something about the noise. The torque. But mainly the noise. Yet, I’m not really one for performance vehicles. Without doubt, the fastest V8 I’ve ever driven was a Gardner-Douglas Lola T70 replica. It had over 400bhp and was insanely quick. Far too quick for public roads. I have much the same trouble with TVRs, which is a shame as the Griffith and Chimaera both look fantastic, sound better than Prokofiev and feel truly special to drive. I just don’t want to get to 60mph quite that quickly thanks. So, the idea of a 2.5-litre V8 in a fairly heavy body is therefore surprisingly appealing to me. That makes the Daimler 2.5-litre (or later V8250 as here) very appealing indeed. You get the marvellous soundtrack from Edward Turner’s majestic little V8, but it takes almost 15 seconds to get to 60mph. Perfect. You can deploy all of the beans, and not worry about upsetting PC Plod. Being a plusher Mk2 Jaguar, these Daimlers are a lovely place to sit too. 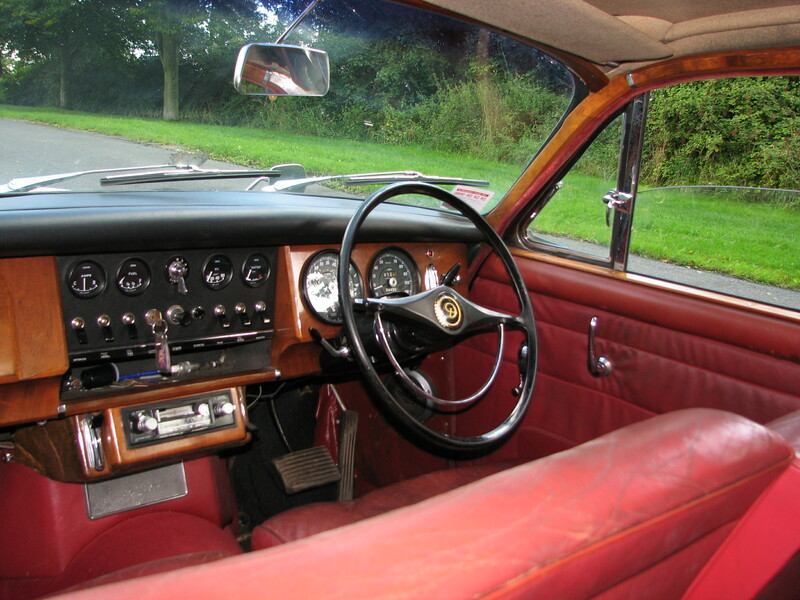 The slimline bumpers reveal this one to be a later V8250, but unlike the later Mk2 Jaguars, you still get all of the proper wood and leather (rather than cheaper Ambla). They’ve been bargains for a long time too. 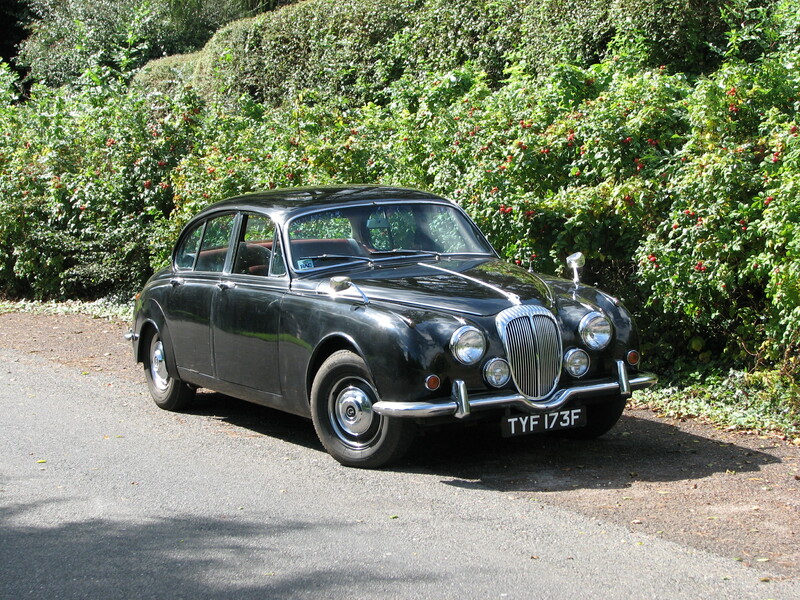 Jaguar Mk2 prices, especially 3.8s, have been stretching ever higher. Daimlers top out at £20k and you can get a nice one for £15. A Mk2 3.8 could be twice that and while a lot quicker, doesn’t sound like a V8. Of course, I certainly don’t have £15,000 kicking about, so it’s unlikely I’ll ever achieve this particular dream. Nonetheless, it’s a very pleasant one to have. They really are truly marvellous.